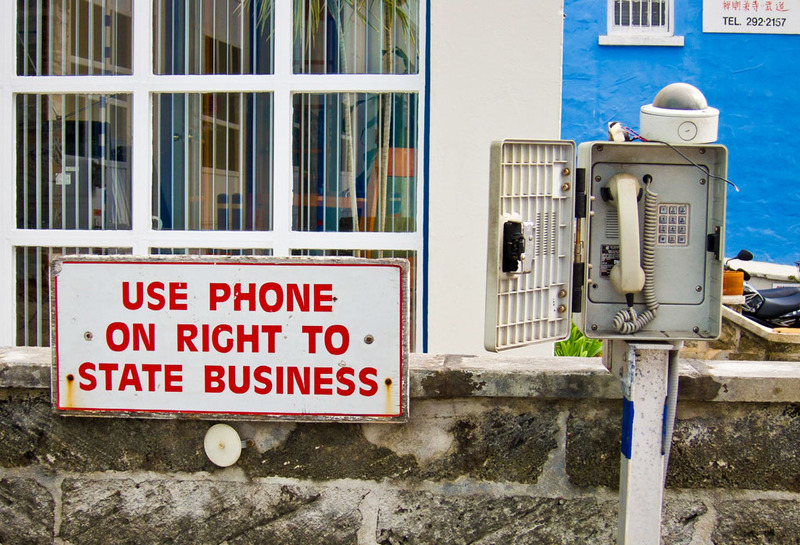 When I was walking about Hamilton, Bermuda with just a Canon PowerShot S90 in my pocket, I spotted this most unusual shot. 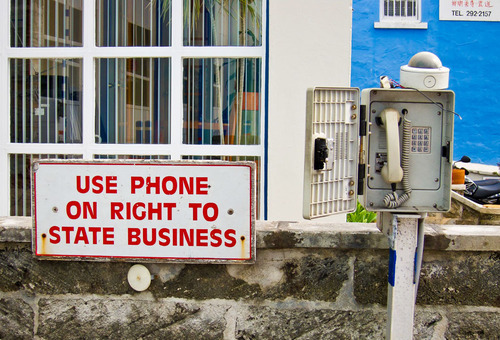 To this day, I'm not sure of the purpose of this particular phone, there, off to the side of the street. Photo by Derrick Story. Canon S90, ISO 80, Raw, 1/400 at f/4 Click for larger image. Dateline: New Orleans, Louisiana, USA. On the scene account by photographer Julie Dermansky. 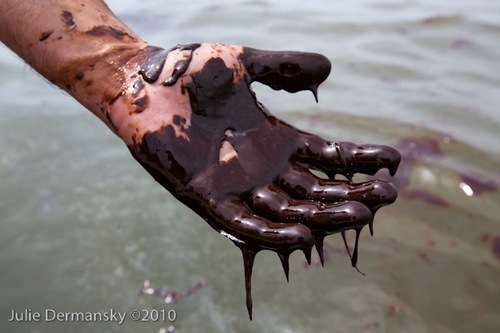 Politicians and BP officials who assure the public all that can be done is being done to protect and clean up the Gulf Coast, might want to reconsider those statements. This is not what I have seen. Brown pelicans on Queen Bess Island are living dangerously close to splotches of oil stuck inside and outside the boom meant to protect the island. Many of them have been rescued by wildlife and fishery officials, while countless others have died. The cleanup effort ramps up when VIP's are around; other than that, the cleanup and containment effort is sporadic at best. Last weekend, Christopher Hernandez of Grand Isle called members of the press down to show them around the day after 600 workers were bussed in to clean the beach for Obama's visit. Post-Obama, the cleanup crews numbers dwindled and their work hours were almost nonexistant. Editor's note: Professional photographer Julie Dermansky has been on the scene in the Gulf Coast since the early stages of the oil spill. You can follow her photographic coverage on her Flickr page. One of the promises of the micro four thirds system is lens interchangeability between Olympus and Panasonic cameras. I was able to try this for myself recently by mounting a Panasonic 20mm f/1.7 on an Olympus E-PL1 body. All functions seemed to work well, and the lens looked good on the camera. As for the results, I thought I'd let you decide for yourself. Click on the image below to view it full size without any image editing. 20mm Panasonic lens on Olympus E-PL1. No image editing on the shot. Click on image to see unedited full size photo. Camera Data: Olympus E-PL1 body, Panasonic 20mm lens, ISO 800, 1/60th, f/1.7. I snapped this shot during a set change while working on my latest photography title at Lynda.com. You'll notice that the crew is trying to emulate my height while setting the scene. Oh, and guy sitting on the stool, Andrew, will be replaced by a very pretty model once the shoot begins. Building the set for a tall guy. Click on image for a larger version. You'll get to see the beautiful model, and hear much more about this photography training title, once we finish it. Even at this early stage in its development, the iPad has become a important part of my photography workflow. As I described in The Nimble Photographer, I can travel light (less than 6 pounds), but still be able to capture and manage high quality photographs. The key for me is using the Raw+Jpeg workflow. In my latest Macworld Magazine article, A photographer's workflow for the iPad, I explain step-by-step how I work with the basic tools on the iPad to manage this. Imported Raw+Jpeg pairs on an iPad using the Camera Connection Kit. What do you do from here? Click on image to enlarge. The trick is to shoot Raw+Jpeg at capture and upload the pairs to the iPad via the Camera Connection Kit. 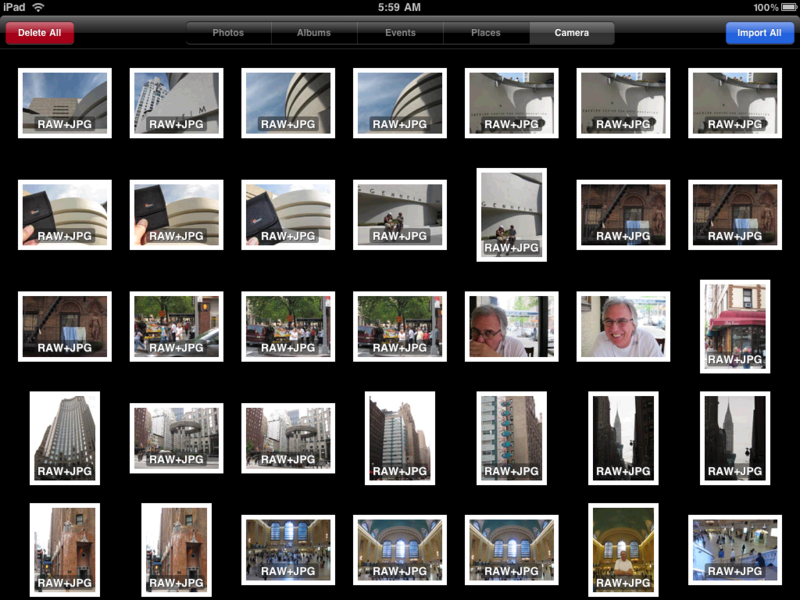 Then when you're back in the office, offload the Raws to your computer, and leave the Jpegs you want on the iPad. Being able to separate the pairs is important because you don't want to fill up your iPad with large files. 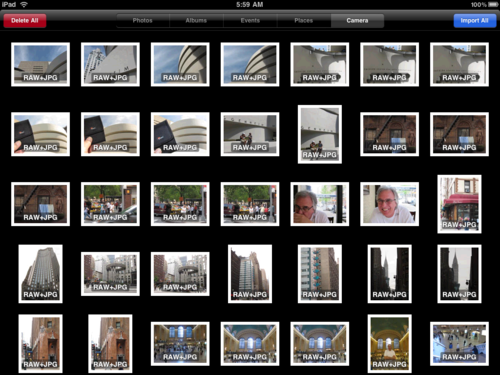 I use the 3G model of the iPad, so I'm able to view, manipulate, and send off photos while still in the field. This is terrific for posting to social networking sites, blogs, or even sharing images with family and friends. Yet I know I have the Raw masters for more detailed post production when I return home. You'll notice in the follow up discussion on the A photographer's workflow for the iPad article, there are still a lot of tools that photographers want, but aren't available yet on the iPad. This is always the case with a new device. But I predict that within months we'll have more capable applications that further enhance our ability to work on the run. In-camera panorama processing seems like one of those features that's just too good to be true. But after testing this function with a Sony Alpha NEX-5, I'm here to say it's for real. This sweep panorama of a high school football field was captured with a Sony NEX-5 with a 16mm f/2.8 lens. Click to enlarge. The process is simple. You set the camera in Sweep Panorama mode, press the shutter, then pan your scene following the marker in the viewfinder. Once the image is completed, go to Playback mode, and your panorama is ready for viewing. The finished resolution is 8192Ã—1856 (15.2 MP), so you don't get the mega-dimensions that you'd see if you took a series of images and stitched them together in Photoshop. But what you do get is an impressively merged photograph that's ready to share right out of the camera. Click on the image above to examine a larger version. Not bad. Moving objects do present a problem for Sweep Panorama. So this technique is best applied to static scenes (although the effects of movement are sometimes interesting and worth playing with). This technology will hopefully lead to more expansive shots from photographers who like showing the big picture. 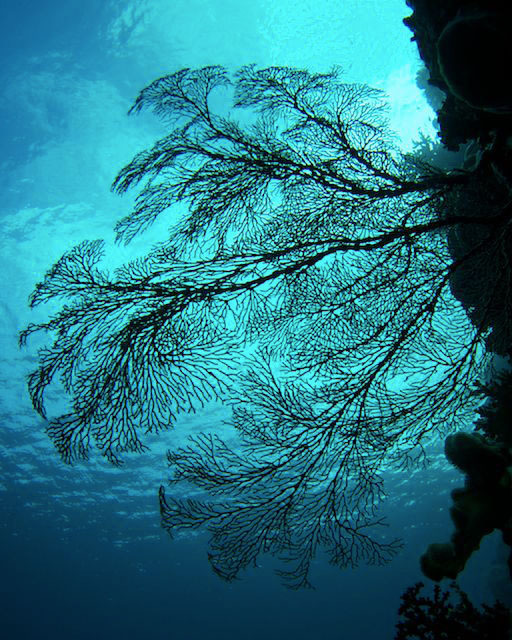 Editor's Note: The following article and photos are by Dennis Adams, co-author of Step Zero: Getting Started on a SCUBA Photo Trip . Dennis is a TDS listener and wanted to contribute his expertise to our Outdoor Life section. I have been a world traveler and Under Water (UW) for many years. While I travel with a large, heavy, very capable DSLR that is enclosed in an UW housing and supported by two large UW strobes to illuminate the dark UW subjects, I also travel with a small P&S with an UW housing. The P&S serves as a walk around camera and a backup UW camera. Your praise of the Canon S90 sparked my interest, as my current P&S is getting close to 7 years old and newer cameras have much more capability. In addition to your review of the S90, I researched and discovered that there are several manufactures producing UW housings for the S90. I wanted an UW housing that was of proven durability, repairable, flexible, and lightweight. I tend to use my equipment for many years and only upgrade when there is a substantial performance improvement. Using antique equipment does not bother me as long as it does what is needed. I selected the Ikelite housing because of their excellent demonstrated performance across all their products and world class factory repair support. 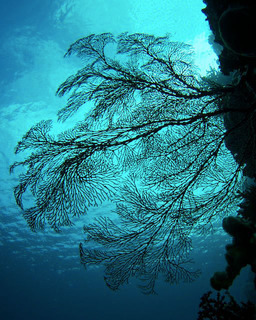 A wide angle lens may be attached or removed from the housing while underwater. Other manufactures also produce a more capable macro lens for UW use (than what is included with the S90). I was upgrading my 15 year old strobes to the new Sea & Sea YS-110a, which will connect to my camera via the usual electrical sync cord, or the newer fiber optic sync cord. I connected the camera end of the fiber optic sync cord for these new strobes to a small, home fabricated, plastic bracket held in place on the outside of the housing over the S90 flash with black electrical tape. This held the fiber optic cables in place so the camera flash would travel though them to the optical sync ports on my larger external flashes. The black tape also blocked any light from the camera flash going straight forward and causing backscatter from the particulates in the water. All strobes could then be easily connected either to the new housed S90, or my old housed DSLR with my Ultra Light Control System (ULCS) arms and handles. The focus was set to auto and spot. The image format was set to RAW only. With these control settings, I was properly configured and was able to obtain proper subject and background exposure by adjusting camera controls and/or the output power of the external strobes. The S90 performed extremely well. The photos were in focus, properly illuminated, the background as desired and the image quality fully acceptable. The Macro camera function enabled me to record small fish and the wide angle UW attached lens enabled me to photograph large subjects while I was very close (being close UW eliminates most the floating gunk between your camera and the subject). While S90 does not have the rapid sequential photo, high focusing speed, or flexibility of my housed DSLR, I was able to take excellent photos with normal P&S planning. I recommend without reservation that you or others purchase an UW housing for your S90 so you too may enjoy its UW performance. 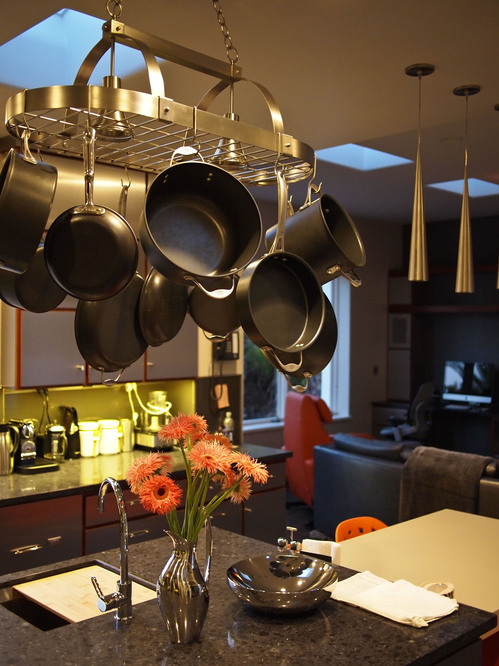 Which housing you choose will depend on your desired usage and how much you wish to spend. Thanks Dennis for that excellent review. I am now inspired to get a housing for my S90! 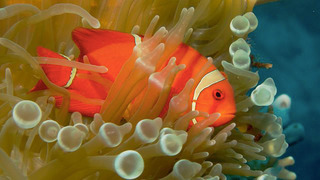 As I mentioned at the top of the article, Dennis Adams is co-author of Step Zero: Getting Started on a SCUBA Photo Trip . 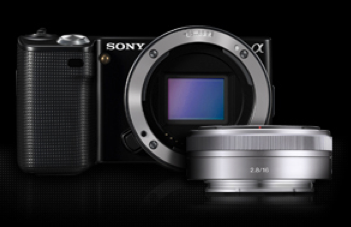 The Sony Alpha NEX-5 is part compact, part DSLR. It's 10 oz body houses a 14.6 CMOS APS-c sensor, plus lots of other top notch features such as a 3" tilting LCD, 7 fps burst mode, and full HD movie recording. I think it's a good camera for those upgrading from a point and shoot. I explain myself in this week's podcast. The Heads Up Displays, often referred to as the HUDs, are some of the application's most distinctive features. By taking just a few minutes to learn their essential keystrokes and capabilities, you can speed up your workflow considerably. In this 2:34 movie, I cover the Inspector, Keywords, and Lift and Stamp Heads Up Displays. I've been testing the Sony Alpha NEX-5 camera and had to figure out a workflow to manage the video it captures. One of the formats that Sony uses for movies is AVCHD, which can be difficult when working with QuickTime on a Mac. Fortunately, I have a few tips to make it easier. 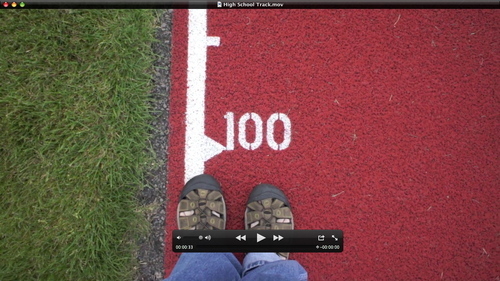 Video from a Sony NEX-5 playing in QuickTime. First, and easiest, don't use AVCHD! That's right, you have an option. Go to the Image Size menu on the NEX-5, navigate down to Movie, and select MP4 instead of AVCHD. That was easy. If you set the NEX-5 as a mountable drive or use a card reader, you can peer into the contents of its memory. To find your MP4 videos, go into the MP_ROOT folder, and you'll see MP.4 files that can be opened directly in QuickTime. Simply drag and drop. This gives you full size 1920x1080 video files. In my test, a 34 second file weighed-in at 51 MBs. Another route for Mac users is to launch the latest version of iMovie, then click on the Open Camera Import Window icon (CMD-I). iMovie can recognize the NEX-5 and import the video clips you've recorded. You can then edit them, add titles, and do all of the post production stuff that you'd normally handle in iMovie. When it's time to export for QuickTime viewing, an efficient way to go is to select Share > Export Movie. Then click on the HD preset in the dialog box. You'll end up with a high quality 1280x720 movie that you can play in QuickTime or any device that reads the .MOV format. That same 34 second movie was 43 MBs after going through this process. And finally, Aperture 3 (and yes, iPhoto 09 too) can recognize the MP4 movies and import them. This worked when I connected the camera via its USB cable or used a card reader. For me personally, Aperture 3 is the easiest way to import, trim, and catalog videos captured with the Sony NEX-5. Unfortunately, Aperture 3 doesn't support the .ARW Raw files, but hopefully that will come up the road. For those who prefer working with the AVCHD format, all of this might seem like a lot of fuss. But I think it's great that Sony gives you a MP4 option for those who prefer it.